Elevated between 3281 ft and 4429 ft, the Ski Resort is among the 10 highest elevated Ski Resorts in Lower Austria. The vertical drop from summit to base is 1148 ft. The average difference in altitude between base and summit of Ski Resorts in Austria is 2392 ft. Runs and slopes are therefore relatively short. Semmering Hirschenkogel is among the 10 best rated Ski Resorts in Lower Austria. Season starts on Dec 7 and ends on Mar 31 (114 days). Average season duration in Austria is 114 days. Average snow depth during the season (Dec 7 to Mar 31) is 31 " at summit elevation and 27 " at base elevation. Snow coverage is usually best during February, offering an average snow depth of 42 " at summit elevation and 38 " at the base. Therefore Semmering Hirschenkogel is among the 5 ski Resorts with best snow conditions in Lower Austria. Semmering Hirschenkogel features 37 sunny days on average per season. The average for all ski Resorts in Austria is 49 sunny days. February is the sunniest month with an average of 16 sunny days. 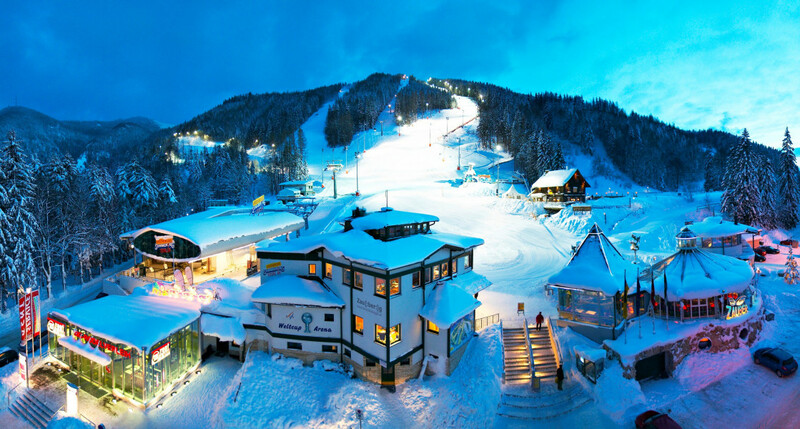 Offering 9 miles of slopes and terrain, Semmering Hirschenkogel is among the 10 largest Ski Resorts in Lower Austria. From beginners and amateurs to freeriders and snowboarders - Zauberberg (lit. magic mountain) has something in store for everyone. Day and night, skiers and snowboarders enjoy runs of all levels on Semmering. Slopes range from a family run to the FIS World Cup panorama run. 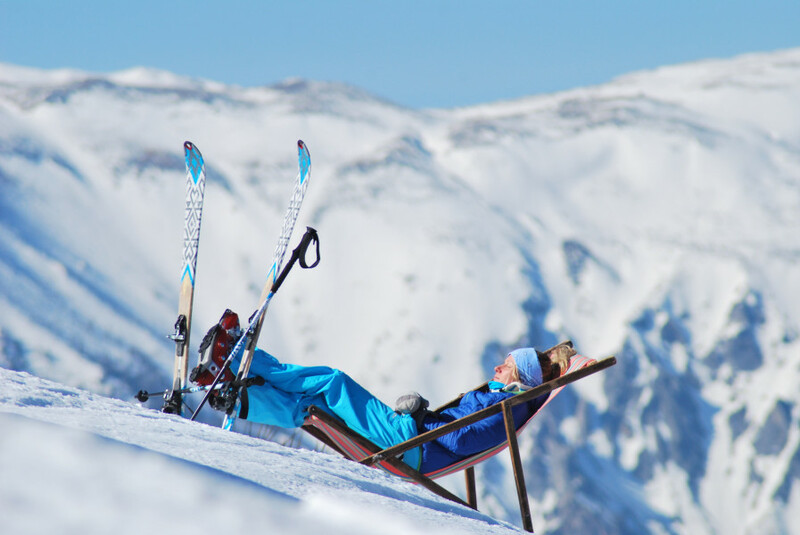 The ski resort boasts perfectly groomed slopes and a beautiful Alpine panorama. Snowboarders and freestylers get their money's wort at Split Park with lots of obstacles, challenges, excitement, and adrenaline. Liechtensteinhaus is one of the resort's most popular dining facilities. 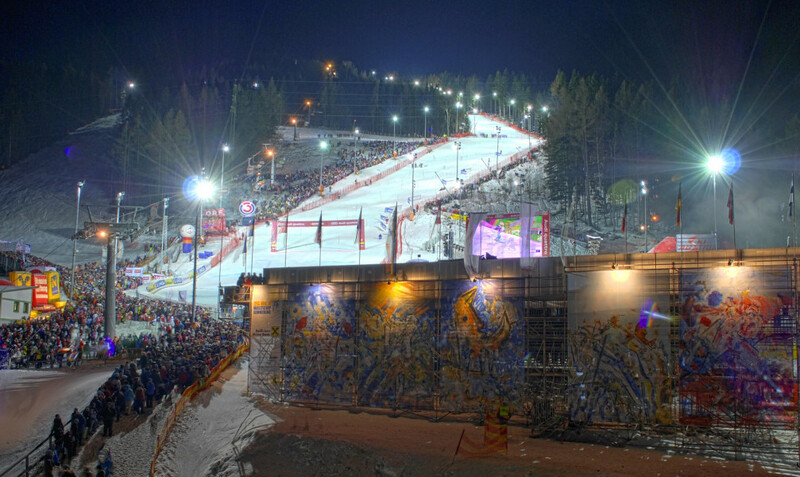 It is situated at the top of Zauberberg Semmering, right next to the top station. 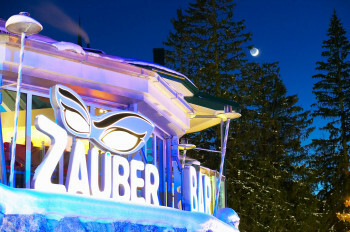 The large terrace, delicious food, and fun bar make sure you have a perfect ski day. At the new panoramic restaurant with open kitchen and fireplace, you get to enjoy the view from a cosy spot. 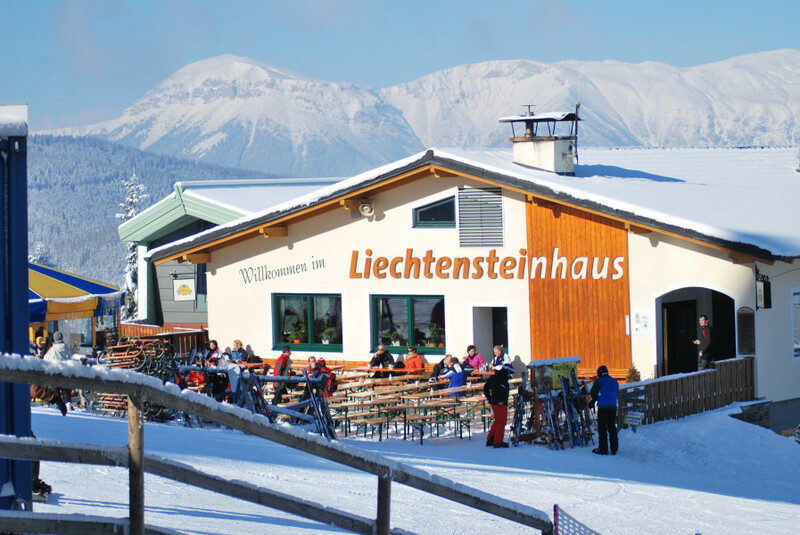 At the base station you can find Hirsch'n Alm, serving typical Austrian food. Enzianhütte as well specialises in local dishes. If you are looking for more exclusive, international cuisine, check out Seewirtshaus. Finally, "RING" culinary centre is home to a pizzeria, a BBQ buffet and more. Semmering is home to Panorama Nr. 4, a World Cup run definitely worth checking out. The ski resort's longest run is Family Slope Nr. 1. The name gives it away: this one is suitable for the Young and the Old. For a more challenging experience, try the steeper eastern slope. 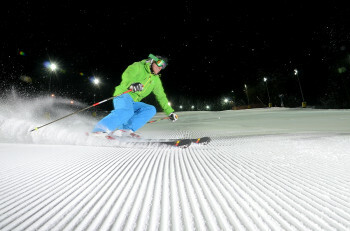 Skiing here at night is a special experience. Freshly groomed, the slopes are lit with World Cup fit lighting - an unforgettable ski night guaranteed! Sunday through Wednesday you can ski until 9 pm, Thursday through Satuday until 10 pm. The three kilometre (1.87 miles) adventure-tobogganing track is a highlight for the whole family. The chute starts at the gondola lift's peak exit and goes all the way down to the base station. Through winding tunnels, you pass by fantastic creatures, such as the wizard Siebenstein, or the evil dragon Feuerzahn lit by magical light effects. At the backdrop of spheric sounds, visitors immerse into the world of the magic mountain. If you'd rather enjoy some peace and quiet, there are 10 kilometres (6.2 miles) of hicking trails as well as opportunities for snowshoe tours. Furthermore, the cross-country skiing tracks go another 20 kilometres (12.4 miles) through the wintery landscape. At ZauberBAR, right at the foot of the mountain, live music and delicious drinks make for a perfect après-ski experience. Pinguin-Iglu on Semmering is another great party location. If you want a more quiet end to your day on the slopes, stop by Hiersch'n Alm. Hotel Panhans on Semmering has a delicious dining menu. The restaurant has a rich offer of high quality wine, and the legendary Panhans cake tends to suit every taste. Semmering Street S6 gets you to the ski resort in no time. Coming from Vienna, follow A2 and change onto S6 at Loipersbach. Exit at Maria Schutz and follow the road to Zauberberg. Coming from Graz, follow A9 to Peggau-Deutschfeistritz and exit onto S35. In Bruck an der Mur you change onto S6. Exit at Spital Semmering and follow the road to the ski resort. You can park your car at one of the free carparks at the foot of the mountain. Vienna airport is approximately 100 kilometres (62 miles) from the ski resort. Bus transfer to Semmering is available. Semmering also has its own railway station. Trains arrive from Vienna, Graz, and other cities.